Amazon cloudwatch is one of the services provided by AWS for monitoring the cloud and application resources that you run on AWS. Through Cloudwatch monitoring you can monitor log files, set alarms, define set of actions to carry out automatically during an occurrence of an alert. You can even set cloudwatch to monitor logs generated by your application. 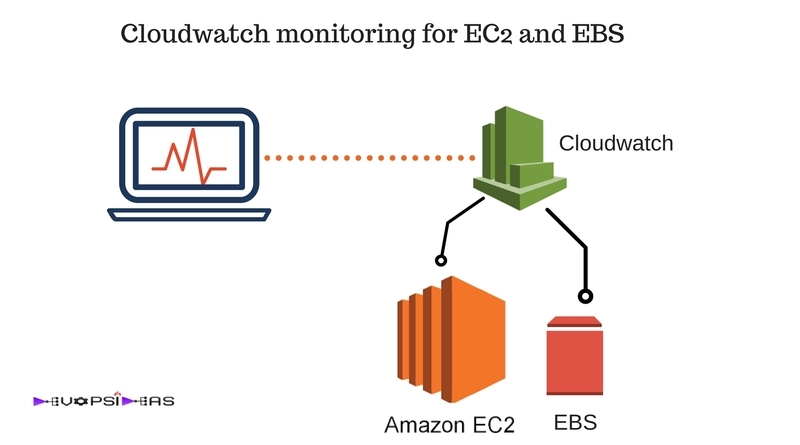 You can use cloudwatch for monitoring Amazon EC2 instances, EBS (Elastic Block Store) volume, ELB (Elastic Load Balancer), SQS (Simple Queue Service), DynamoDB tables and RDS (Relational Database Service) instances. Is cloudwatch an alternative for other full fledged monitoring solutions ? The answer for this depends upon your requirement. If your monitoring requirement is very minimal (CPU Utilization, Disk, Memory etc ) then this should be suffice. 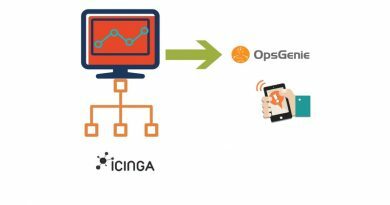 But mostly for a much bigger environment that requires more detailed monitoring, you would be needing a full stack integration, either built-in house or via an established full stack monitoring service that makes use of Cloudwatch API. What we are going to see in this article? By default EC2 comes up with metrics for the below functions. We need to enable EC2 instance to produce metrics for Memory and disk usage that cloudwatch can consume. We can then see the metrics for this just like the ones mentioned above under cloudwatch dashboard. We will be using perl script to accomplish this. We need additional modules in order for the monitoring to work. We will install those modules first. Login to your EC2 instance and execute the below commands as per the OS. Alright, we are done with the prerequisites for the script. Lets download and configure the script now. Execute the below steps. So we have downloaded and unzipped the zip file which contains the scripts using the above commands. We have than changed directory to aws-scripts-mon which is where the scripts are. CloudWatchClient.pm—Shared Perl module that simplifies calling Amazon CloudWatch from other scripts. mon-put-instance-data.pl—Collects system metrics on an Amazon EC2 instance (memory, swap, disk space utilization) and sends them to Amazon CloudWatch. mon-get-instance-stats.pl—Queries Amazon CloudWatch and displays the most recent utilization statistics for the EC2 instance on which this script is executed. awscreds.template—File template for AWS credentials that stores your access key ID and secret access key. LICENSE.txt—Text file containing the Apache 2.0 license. Note: EC2 roles are assigned to EC2 instances while they are being launched. To know more about it refer this article. If you haven’t assigned any role for your EC2 instance then follow the below steps. This script collects memory, swap, and disk space utilization data on the current system. It then makes a remote call to Amazon CloudWatch to report the collected data as custom metrics. You can get the list of parameters it takes by just dry running the script. Execute the below commands to get the list of options that you can pass along with the script. We will only be using the below flags while running the script in our example. –disk-path=PATH Selects the disk on which to report. Collects and sends SwapUtilization metrics, reported in percentages. The following examples assume that you have already updated the awscreds.conf file with valid AWS credentials if you had not attached an EC2 role with the required policy discussed earlier. If you are not using the awscreds.conf file, provide credentials using the –aws-access-key-id and –aws-secret-key arguments. Note the text which is highlighted in red in the above output. The script checks for credentials in the argument first and then in the awscreds.conf file. In this example I have not provided my API keys either in command line or in the awscreds.conf file. Hence it checks if any role has been attached to this EC2 instance and finds one named “devopsideas-test”. I have also attached the relevant policy which provides access to cloudwatch metrics such as PutMetricData, GetMetricStatistics, ListMetrics and DescribeTags. Thus my instance will be able to make an API call with cloudwatch without needing to pass any API Keys explicitly. This is the recommended way as well. Instance i-0dfebb86e5ba1c015 statistics for the last 12 hours. We will not be using mon-get-instance-stats.pl except for the above test since we will do the configuration in AWS console. As you can see, we are just pushing memory utilized, disk space utilized and swap utilized metrics since they provide details in percentage. This is because, it will be much easier to configure alerts based on metrics in percentage for our example. Also you can add additional mount points apart from ‘/’ if you have any. Login to AWS console and go to Services –> Management Tools –> CloudWatch. You can see all the custom metrics that we have created using the above script under Metrics –> Linux System. As you can see our customized metrics are reflected in cloudwatch dashboard. MemoryAvailable and MemoryUsed are present since we executed it during our test. Those two will not get updated since they are not part of our cron. Note: By default EC2 instance will not come with swap space configured. In that case you’ll not see the swapUtilization metric even though you configured it as part of cron. You need to manually configure and mount swap in order to view it as part of cloudwatch metric. Next we will create SNS Topic and subscribers. We will use this while configuring alerts in cloudwatch dashboard. Select the protocol for subscription and provide the relevant endpoint. In this case I’m choosing Email as the protocol and passing an email id as an Endpoint. Also note a confirmation email will be sent to the specified mail id and it will get activated only after the confirmation. This is the mail id for which we will get the notification. You can even configure to push notification through sms by selecting the protocol as SMS. The SMS service is currently not supported in Asia Pacific (Mumbai) . Alright, we are done with creating Topic and subscription. We can now configure alert based off of our cloud watch metrics. Go to Cloudwatch dashboard and select Linux Systems under Metrics. Lets first configure alert for disk usage. Configure the Alarm threshold. Since disk space utilization reports in percentage, we can set the threshold value to 90 to alert whenever disk usage reaches 90%. Next we should define the action to be taken when the threshold is reached. 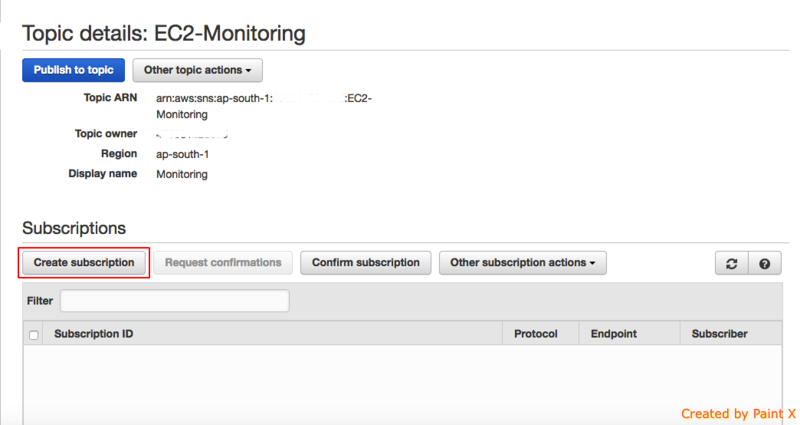 We can perform 3 actions – Notification, Autoscaling Action, EC2 Action. For example, if this instance is part of a cluster, we can set the EC2 action to stop the instance in order to prevent the instance from serving requests. In our example, we will set the action to Notification and we will point the notification option to the topic (EC2 – Monitoring) which we created earlier. We have successfully created monitoring for disk usage of our EC2 instance. Similarly you can create alert for CPU utilization, CPU Credits if you are using t2 instance type, Memory etc. Note that I have highlighted the Period option. This is important while analyzing data at different periods. In this example, we are sending data at a frequency of 5 mins. In the graph, if we turn the period to a frequency of 1 mins the data displayed does not reflect the valid details. Important: In basic monitoring type, data is available automatically in 5-minute periods at no charge. If you enable detailed monitoring, data is available at a frequency of one minute.When you get data from CloudWatch, you can include a Period request parameter to specify the granularity of the returned data. This is different than the period that we use when we collect the data (5-minute periods). We recommend that you specify a period in your request that is equal to or larger than the collection period to ensure that the returned data is valid. AWS is yet to implement a feature to monitor EBS IOPS (I/O Operations Per Second) as of writing this article. There has been a huge request ( Refer this forum ) to bring this feature just like the CPU credits but it is yet to get implemented. There is no direct way for monitoring IOPS as of now. We can see few workarounds with which we can estimate our IOPS usage pattern. The first option is to use the values of VolumeReadOps and VolumeWriteOps. VolumeReadOps gives the number of read operations taking place at a specific time. It is the same for VolumeWriteOps with respect to write operation. You need to pass in the correct timestamp and volume name as per your need and environment. You’ll get an output similar to the below one. We can create a script to forward these values every 5 mins to cloudwatch and then create alerts based on that. Second option is to use the value of VolumeQueueLength. This metric comes by default as part of EBS in the cloudwatch. You can set a baseline by keeping track of the VloumeQueueLength value over a period of time and the set a value for threshold to alert. And thats it for this article. Feel free to use the comment section if you have any suggestions/questions.